The meeting was attended by DTB members Mark Davis (Chair), Tim Hillyer, Colin Dipple, Matthew Breach, Jane Lonsdale, Nigel Higgs, Roger Evans, Sean McLaughlin and Cormac van der Hoeven; DT Secretariat members Terry Langford and Hannah Kitcher. Apologies were received from Trust Secretary Tom Brown. The DTB were joined by club chief executive Erik Samuelson, COO Joe Palmer. John Lynch and David McKnight were present, to discuss Wimbledon Football History and WOPA (Wimbledon Old Players Association). The DTB had also invited newly elected board members (to be officially appointed as of the Dons Trust AGM scheduled for 20 December 2019) Rob Crane, Luke McKenzie, Anna Kingsley and Hannah Kitcher to observe the meeting. Mark Davis opened the meeting and introduced the new candidates elected to the Dons Trust Board. Mark then introduced John Lynch and David McKnight who ran through their proposal for the Wimbledon Dons Football History Society (WDFHS) which would bring together, acquire and own in trust artefacts and memorabilia of the Club throughout its history. The Dons Trust Board agreed to the principle of their proposals but asked for them to update the board in a few months with an update, further details and next steps. The DTB will then propose a member of the DTB to be a nominee on the new body in the new year. The DTB also noted that their views on maintaining memorabilia have been added to the consultation on the new stadium. John Lynch and David McKnight left the meeting at 20:06. The meeting resumed with a review of the FCB report.Erik Samuelson and Joe Palmer responded to questions from the DTB. The board noted thanks for including more comparative metrics, including social media statistics, in the report. The DTB then discussed the newly appointed first team manager. The Dons Trust Board ratified, for the record, its previous email vote to appoint Wally Downes as the new manager. Erik responded to questions from the board in relation to his stadium update report. Roger Evans then explained that there has been a good response to an initial invitation to members and fans to give their opinions on their experiences of coming to the Cherry Red Records Stadium, ahead of a more extensive consultation. The stadium committee planned to launch the next round of the consultation process in January 2019. Erik responded to questions from the board on the Club’s management accounts to 31/10/18 and cash flow. The board discussed the We are Wimbledon Fund and the possibility of recruiting volunteers. The DTB discussed the upcoming AGM for AFC Wimbledon PLC and DTB scheduled for 20 December 2018. The papers have been circulated to members. PLC accounts not yet gone out and, if there were to go out on time, they would be available only just before the meeting. The board agreed that the best course of action would be to apologise and adjourn the PLC AGM if the accounts are not ready in time. The board then clarified that the Dons Trust accounts could not be signed off by auditors until the PLC accounts are signed off. 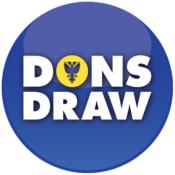 In this instance, the board agreed to provide the draft Dons Trust accounts for members to approve, which will then be finalised by the auditors once the PLC AGM accounts are completed. Erik and Joe left the meeting at 21:35 and the meeting resumed at 21:45. The board then continued with working group updates. Mark Davis explained how the Dons Trust Board is organised by committees and that as a result of the recent Dons Trust Elections, all three members of the Strategy committee will no longer be on the board as of the AGM. Mark explained that the DTB usually holds an additional meeting in January to set the year’s priorities. This date has been set for Wednesday 9th January. The board agreed that this meeting will be a good opportunity to review how well the committees have worked and how they should continue into 2019. Tim Hillyer and Jane Lonsdale explained that they met with member(s) of the 9yrs podcast team on Saturday, ahead of the Rochdale game on the matter of their revoked press access to AFC Wimbledon. The Board discussed the role out of the volunteer Code of Conduct, which includes what volunteers can do and say on social media. The board agreed to discuss the position of the 9yrs podcast at the next meeting, once newly elected board will be in position because the podcast has involvement with the work of the Trust which needs to be considered. The Board discussed ways of working for 2019. Mark explained that he had asked Tom Brown, the outgoing Secretary, to circulate an invitation to all Board members to nominate themselves for the positions of Chair, Vice-Chair and Treasurer, to be agreed at the first board meeting in January (9 2019). Sean McLaughlin had agreed to provide support to the board until the accounts have been signed-off and will conduct a handover with the next appointed Treasurer. The Board discussed the options around co-opting a Treasurer to the Board and the current Board. Mark Davis agreed to work up a person specification for the role to circulate amongst board members before they decide how to take the decision forward. An offer of support had already been received from an existing volunteer. Under AOB, the Board ratified an email vote on casting its vote, as a member of Supporters Direct, in favour of the merger with the Football Supporters Federation. 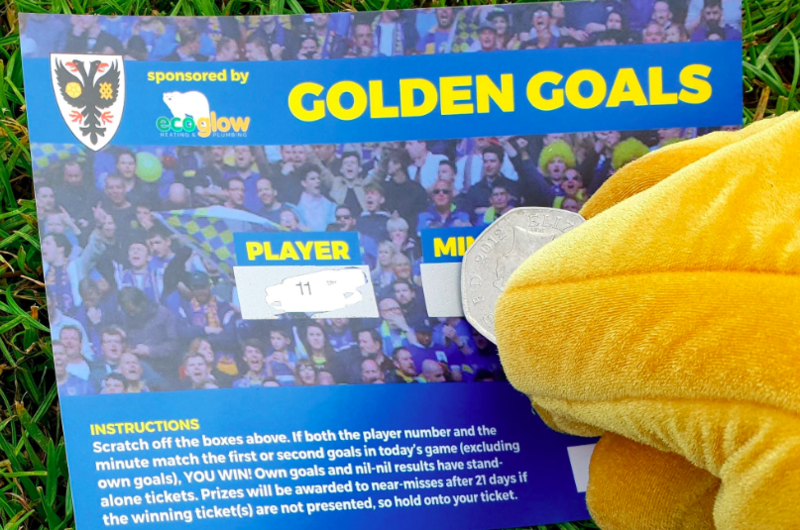 It was also noted that the Trust’s votes had been cast in favour of Roger Ellis (Sky Blue Trust), Kristine Green (Mariners Trust) and Antony Wilkinson (Blackpool Supporters Trust) as League 1 and 2 representatives for Supporters Direct/FSF. Cormac van der Hoeven thanked Jane Lonsdale for coordinating a well received Junior Dons Christmas party. Tim Hillyer noted that Di Cunningham has now returned as the new National Chair of Pride in Football. Colin Dipple proposed an A-Board for the Dons Trust kiosk to show on matchdays who is in the kiosk and their speciality roles on the board. Mark Davis and the rest of the Board thanked the outgoing board members for their service to the Dons Trust Board: Matt Breach (12 years); Sean McLaughlin (12 years); Nigel Higgs (4 years); and Tim Hillyer (2 years). The meeting closed at 22:40. This entry was posted in Meeting Summaries, News and tagged board meetings, DTB board, monthly summary. Bookmark the permalink.